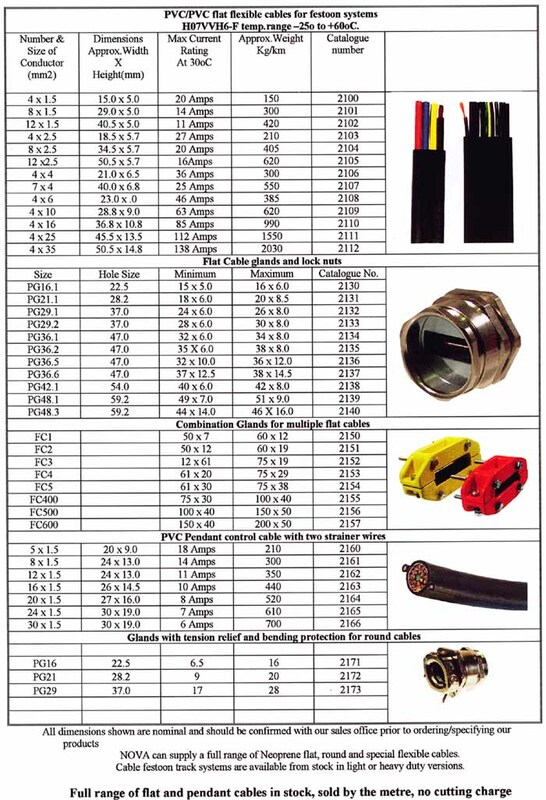 H07VVH6-F power and control flat flexible cables are specially suitable for festoon systems on overhead travelling cranes, hoists, lifts, etc. They are designed for indoor and outdoor use. The excellent flexibility of the H07VVH6-F is due to the use of flexible copper conductors, special PVC compounds makes this cable highly flexible. The markings on the cores of the H07VVH6-F guarantees easy and fast identification. Insulation PVC, 4 conductors by colours, 6 or more conductors numbered + green/yellow. The no flame propagation of the H07VVH6-F contribute towards the overall safety of the installation. Screened flat flexible PVC cable available. This pendant cable is for use on indoor or outdoor overhead travelling cranes, hoists, etc. We guarantee you will find our prices very competitive.